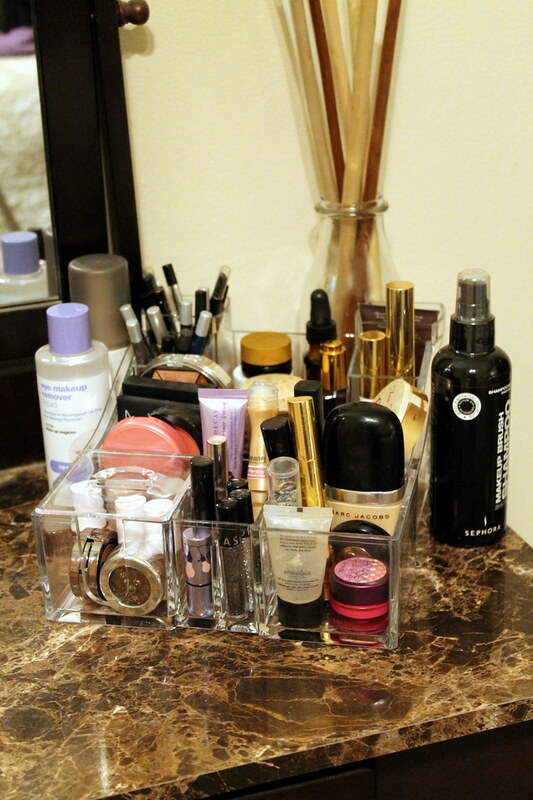 After some new additions to my daily makeup routine, I decided it was also time to purge and reorganize my cosmetics. So, thanks to one of these guys from Target, my vanity is looking fresh, clean and inviting again! All of my larger eyeshadow palettes and random items I don’t use on a daily basis are stored inside my vanity drawer. Just having everything in its place makes my morning routine that much more enjoyable. 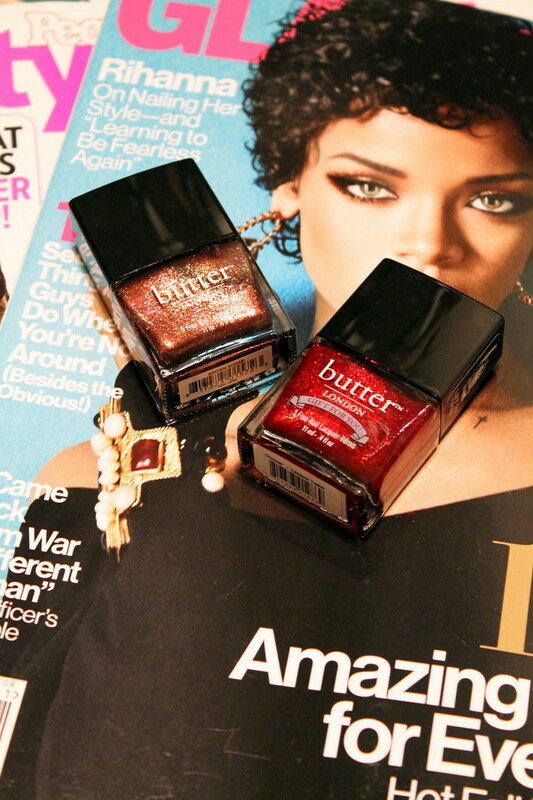 My new favorite nail polishes: Butter London’s Brown Sugar and Chancer. Hands down, it’s the best glitter polish I’ve tried and it doesn’t take 15 minutes to try to scrape the glitter off your nails when you’re ready for a change in polish. Happy weekend! What are your plans? I’m headed on a road trip to see friends from college and attend a wedding! Stay tuned to my Instagram to “travel” with me!